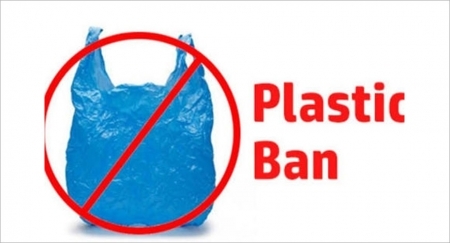 The much talked about ban on plastic products has come into effect in Tamil Nadu from January 1. The government has formed committees to ensure that the ban is implemented across the State in an effective manner. Also, it has been warned that those violating the ban will have to pay fine. Speaking to the media, Tamil Nadu Pollution Control Board chief scientific officer Sai Prasad, "We have been holding meetings about the move with people who run malls, IT sector, TASMAC, choultry and shops. To create awareness, the National Green Corps wing in schools has been actively working towards it." He added: "A ruling has been given to stop manufacturing plastic products to companies in the business. In addition, the local bodies are also doing their bit towards banning single-use plastic items. As they are also seizing and imposing fines, the message has already reached the public. Even though there has been a rider imposed, the behavioural change must come from the public." The ban was announced by Chief Minister Edappadi K Palaniswami on June 5, following which the Government Order was issued on June 25. As per the ban, a list of plastic products have been banned across the state and this includes plastic cups, plates and glasses.